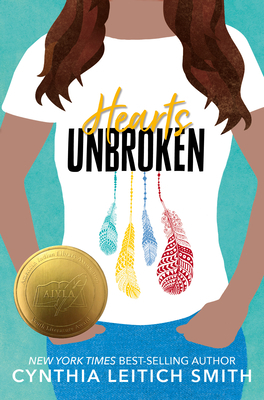 New York Times best-selling author Cynthia Leitich Smith turns to realistic fiction with the thoughtful story of a Native teen navigating the complicated, confusing waters of high school — and first love. Cynthia Leitich Smith is the best-selling, acclaimed author of the Tantalize series and the Feral series. She is an enrolled member of the Muscogee (Creek) Nation and is on the advisory board of We Need Diverse Books. She lives in Austin, Texas. Blending teen romance with complex questions of identity, equality, and censorship, this is an excellent choice for most collections. In a time when #ownvoices stories are rising in popularity among YA readers, this brings an insightful story to the conversation...this is truly a thought-provoking and educational novel. Louise...is believable in her own missteps, and her younger brother’s moral quandary—he’s unsure if he wants to stay in the play after finding out about L. Frank Baum’s virulent anti-Native prejudice—is compellingly explored...a revealing account of a bigotry experience that sometimes gets overshadowed by others, though, and readers will sympathize with Louise’s frustrations. Smith effectively presents the continuous microaggressions Lou faces as a young Native woman alongside the central narrative arc of the school play. Smith depicts the Wolfes’ warm family life as a stable foundation as Hughie and Lou each confront challenges, and she is especially successful at portraying the camaraderie and conflicts of the newspaper staff...a thought-provoking work of realistic teen fiction.